We’ve finally posted to Youtube a video I made nearly 20 years ago that features three women scientists who are still amazingly contemporary in what they have to say (which is maybe not entirely a great thing for women in science). PART I: Ignore the parts with me (I was just learning how to make videos) — just get to where they are talking — the three of them are really great. The video is a discussion with the late Ruth Turner, Cindy Van Dover, and Colleen Cavanaugh — all women scientists who work in the deep sea submersible R.V. Alvin. It’s so boring. I’m sorry. I’m just going to keep on saying this. It’s the 500 pound gorilla nobody wants to talk about. Everyone would rather get together at their environmental film festivals and coo over the latest majestic environmental home movies about climate change than admit it’s a deadly boring subject. Why is this on my mind? I heard another data point this week to add to the pile. 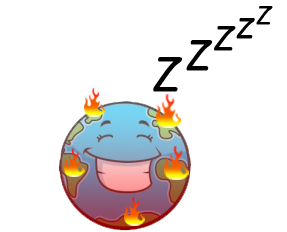 What if “THE END OF THE WORLD” was too boring for anyone to take an interest in it? I knew I’d heard the Climategate story before, it just took a while to finally make the connection. The basic story is, “Big, suspenseful media event produces huge audience, but in the ends everyone is forced to admit, ‘There’s nothing here. '” But it doesn’t matter because the event itself becomes the story and produces that most cherished resource in today’s society — ATTENTION! LOTTA NADA. Geraldo Rivera held the world in suspense in 1986 as he blew open the doors of Al Capone’s vault and found … nuttin’. Same thing happened with the stolen emails of climate scientists in 2009, which proved to be smoking gunless.